The timing belt is the notched rubber belt, which is sometimes called a Gilmer belt. This belt allows the crankshaft to drive the camshaft, which in turn opens and closes the valves. Without this belt, the engine can’t run. During the inspection, your Import Master technican will look for signs of wear, such as cracks, shredding or excessive slack. We will also look for signs of oil leaks from the adjacent seals, which can damage the belt and considerably shorten its life. 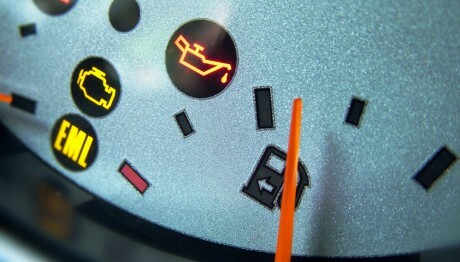 Many modern cars have interference engines, or motor wreckers, as we in the trade refer to them. If a timing belt breaks or jumps a notch in an interference engine, the valves may open at the wrong time and then be struck by the pistons. The result will be many hundreds of dollars in damage to your engine. Be sure to ask us if your vehicle has an interference engine. If you don’t have an interference engine, a broken timing belt will leave you stranded — which is inconvenient — but won’t do any permanent damage. All cars have ways to adjust the timing belt tension. Some cars have self-adjusting mechanisms, while others need to be adjusted manually. If you have an interference engine, don’t try to squeeze every last mile out of your timing belt. Change it at the recommended interval. If your manufacturer recommends that you replace the timing belt at 60,000 miles, don’t forget that this also means replacements at 120,000 miles, 180,000 miles and so on. Checking your timing belt for wear or looseness will let you know if the belt may likely break soon or if it may possibly jump a notch. If you don’t periodically inspect your timing belt, it might break at an inopportune moment. What happens if I don't check my timing belt? Your engine would stop immediately. The camshafts would be out of time with the crankshaft. This ‘out of time’ would cause the valves to open at incorrect times in regard to the crankshaft/pistons. 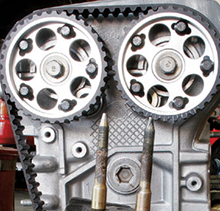 This break in the timing belt could cause valves to bend or break as well as damage the head itself; pistons could also become damaged in the process. Is there any maintenance required between timing belt checks? If you hear a slapping sound coming from your engine, it could be the result of a loose timing belt, which is hitting the plastic timing belt cover. To determine if your timing belt is loose, call Import Master to check its tension. Preventative maintenance check-up. Top off all fluids. Recommended every 5,000 miles. -Free brake inspection DOES NOT cover any repairs or parts found faulty in your braking system. Ralph Perkins and his sons Joey and Eric make Import Master a true family run business. Import Master Auto Serivce specialize in Honda, Acura, Lexus & Toyata.